Based on the Kurt Russell character from John Carpenter's Escape from L.A.Snake Plissken is stylin' with his eye patch, holster, two handguns, a shotgun and a removable overcoat. Snake is 6 3/4 inches tall and has seven points of articulation. 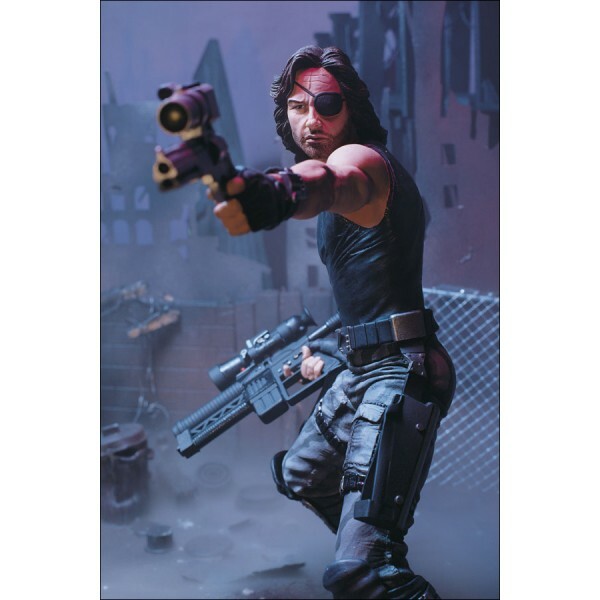 Based on the Kurt Russell character from John Carpenter's Escape from L.A.
Snake Plissken is stylin' with his eye patch, holster, two handguns, a shotgun and a removable overcoat. Snake is 6 3/4 inches tall and has seven points of articulation.